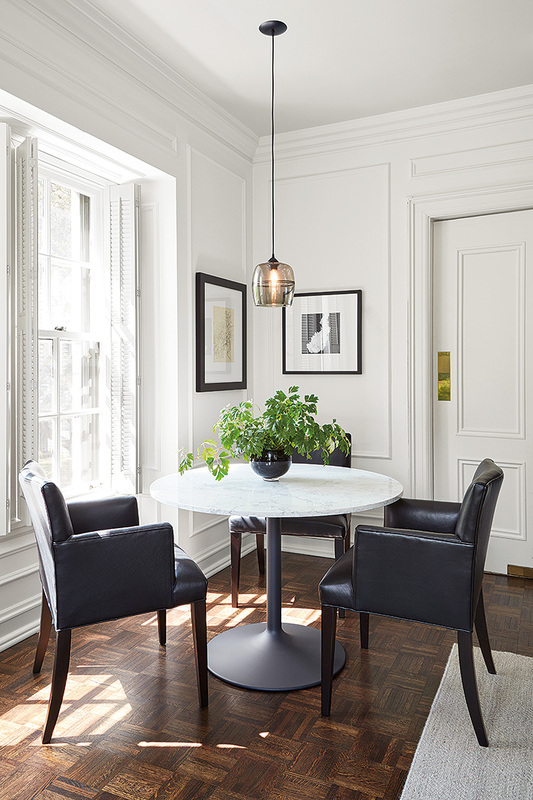 Need proof that crown molding and modern furniture can be best friends? Take a tour through this small space condo. We paired its 1920s architecture with pieces reminiscent of classic style, but with modern design updates for today’s lifestyle. 1300 square feet has never looked so good. We stayed true to the architecture of this Minneapolis condo by adding elements that don’t overwhelm the space. You’ll see furniture with clean, simple lines throughout this condo, with pops of color or shape in small doses. Our Otis chair is a modern version of the classic tub chair, so it’s a perfect bridge between the traditional style of this condo and the updated furniture within it. Otis is petite enough to fit in small spaces but is packed with comfort and features smooth-moving swivels. Not to mention, Otis looks great in pairs. 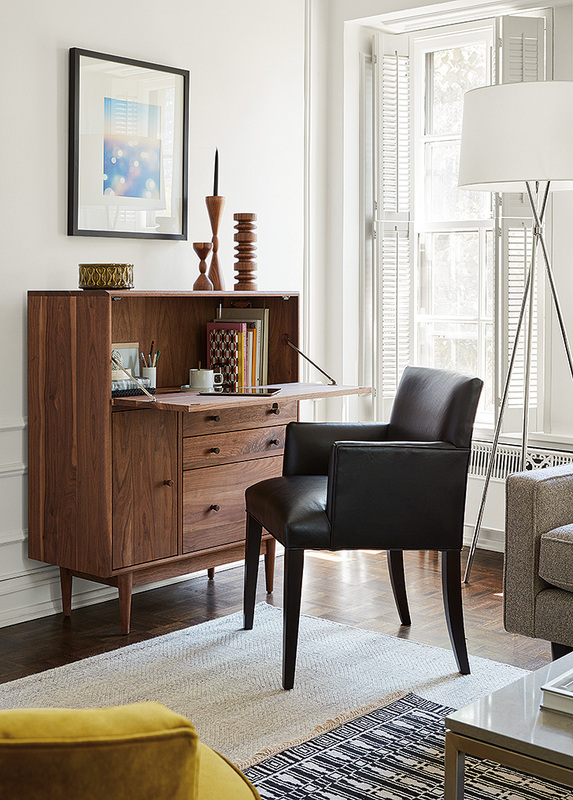 Swivel around in the Otis chair and you’ll get this view of the Grove office armoire in the corner of the room. A desk easily drops down when you need a work surface and hides clutter when you don’t. Pendants are also a smart solution for small spaces because you get beautiful light output without having to worry about taking up square footage. When hanging a pendant, leave 28″-34″ between the tabletop and bottom of the pendant for a clear view (and to avoid staring directly into a bright bulb). The blueprint might have said “bedroom” but we saw this as “nap room.” This 15×14 room naturally lent itself to a lounge/TV area and features a sink-in leather sofa and 100% wool rug, giving it a more casual feel than the formal living and eating area. 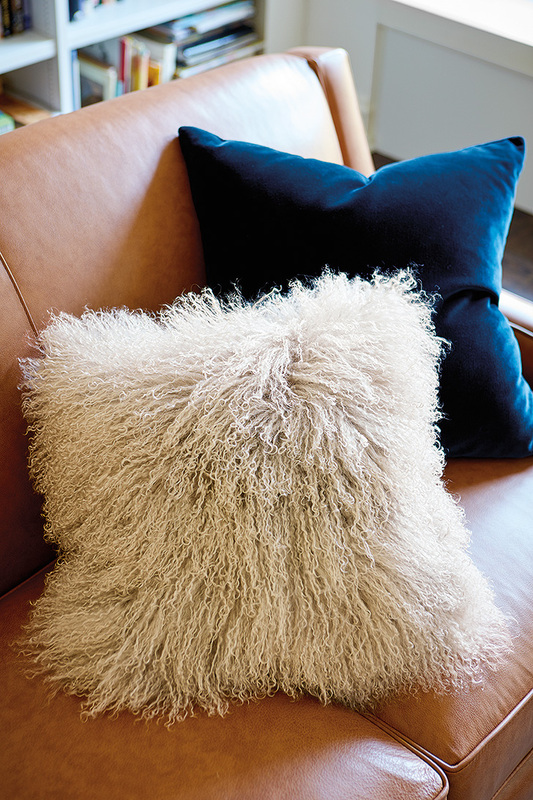 We topped off the Braden sofa with a super soft Tibetan sheepskin throw pillow and Mohair throw pillow. Maximize comfort in a smaller bedroom. Our Hartley bed offers read-in-bed plushness that makes this bedroom feel just as luxurious as a hotel suite. Speaking of hotels, don’t you love the look of the bedding? You can never go wrong with white sheets and a duvet. It will always look and feel fresh. Without space for an end-of-bed bench or bedside floor lamp, we opted for smaller scale options. The Karr stool‘s scissor base design keeps this bedroom feeling open but it’s topped with a high-quality leather seat that’s just as durable as a lengthy wood bench. When there’s no place left to go, go up! 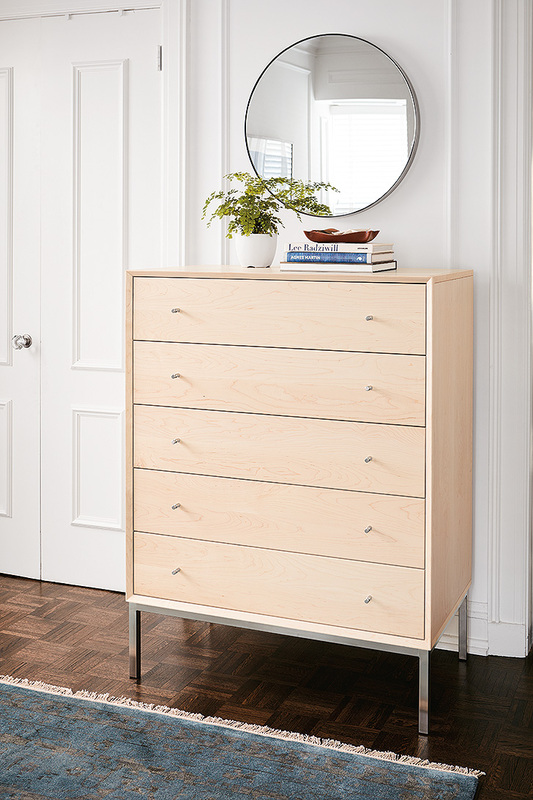 The five-drawer Delano dresser is tucked right against the wall and gives you all the storage of a large-scale dresser in a space-friendly design. And a mirror will always make any size space feel larger. 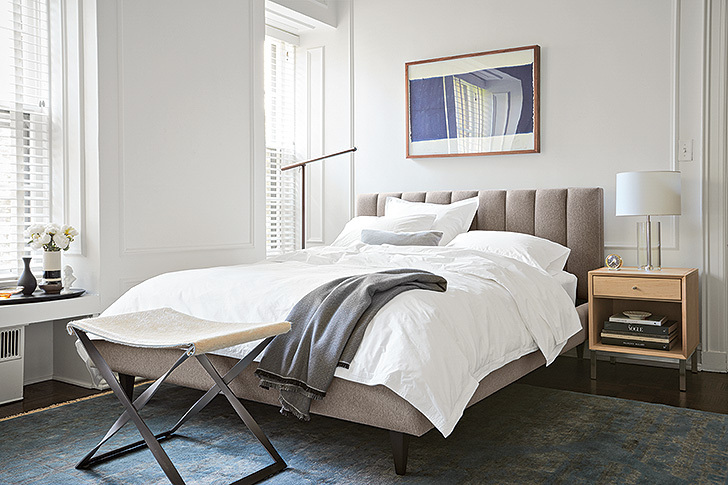 Take advantage of Room & Board’s free design services in a store, over the phone or online. Our Design Associates are small space whisperers.